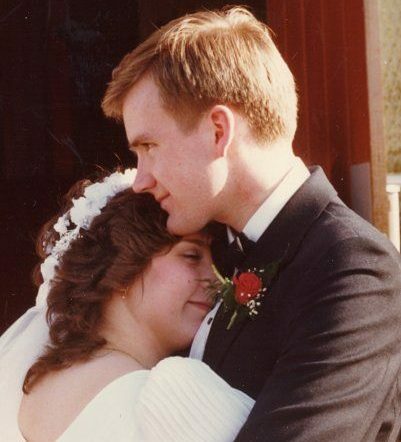 Robert and Lori first met at 15 & 17 – dated for 4 years and have been married since 1984. They have grown children: a daughter, a son, and a daughter-in-love. And one grandboy. Just before their 25th wedding anniversary they went away for an “off-site” meeting. (You think only businesses have “off-sites”? Nope.) During this time away, Robert and Lori crafted a 25-year plan – so when they’re married 50 years they will have led a “meaning filled” life. That’s it. Not too complicated, huh? Yeah. Right. When they were married 30 years they downsized their possessions to ft into a 10x10 storage unit, and went on the road! Robert researches and writes about values in business at FergusonValues.com and speaks to audiences, and facilitates workshops about Values. Lori and Robert write and make videos to encourage husbands and wives in marriage at EncourageYourSpouse.com. Meet Robert & Lori on YouTube!